Sensible Topologies / versus / the Utopian. It is feasible that diverse private and semi-public performance and performance art archives may be amalgamated, evolving different inventories into one large stock. This could be brought together in a large house or as a network. If it is developed as a network, it would be sensible to formulate a common structure and a joint digital research platform. A flexible network involving suitable forms of institutions, organisations, societies, net-groups for crowd funding and a share-hold for responsible users would involve a sufficiently large enough number of artists into fund-raising activities. This would generate a monthly / quarterly sum as an income for the project. Of significant importance is the acquisition of sponsors, foundations, mentors and involved artists who will be engaged in this project; the funds raised will have to be sufficient to employ one person full-time and to finance rent, maintenance, bills and service charges. 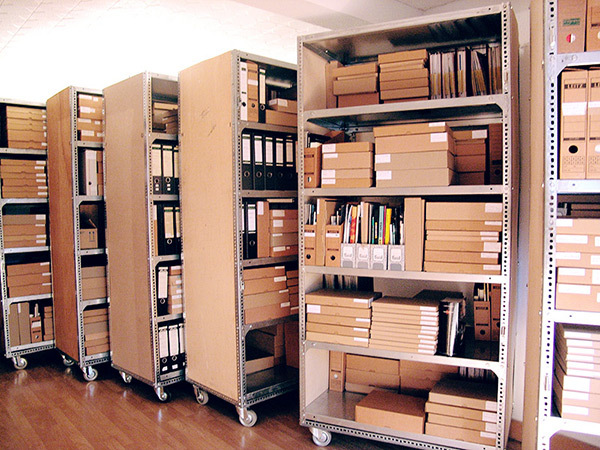 Over the past 30 years the BLACK KIT archive has been in the hands of ASA-European and the E.P.I. Center. These organisations were and are responsible for managing and running the archive. The one clear main fact is: a large amount of the archive’s vast volume of material and stored documents could only be accomplished through the generous help and donation of countless artists. The archive itself never had an owner “Per Se”, but is a sculpture of public interest. It is available to and belongs to everybody involved. It was and is extended by many. The archive is to be passed into many hands, to be carried and supported by many artists, theorists and performance lovers: an archive by performance artists for performance artists / an archive by performance theorists for performance theorists. Documents which offer an insight into and overview to various scenes, cities, countries. Generating a network of knowledge.